Tuscany Villas offers guests luxurious Rotorua motel accommodation. Our modern facilities and furnishings, coupled with personal, friendly service and exceptional housekeeping standards, will ensure a memorable stay. Click here to view our Specials & Packages or contact us at our Rotorua motel and conference centre for corporate rates. Great experience in Rotorua. 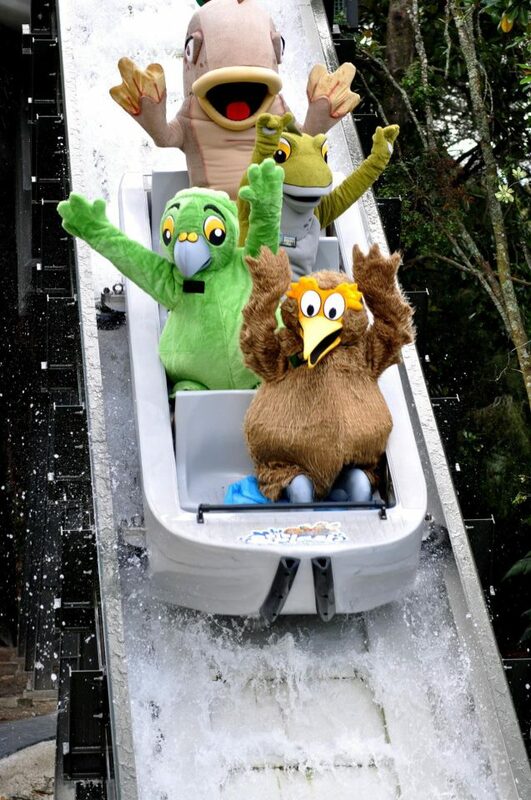 The Big Splash is a nine minute long journey through time that features an informative narrative, state of the art animatio bringing to life dinosaurs, moa and the haast eagle, and an adrenalin boosting plunge at the end.